Before Vatican II, Catholic church architecture aspired above all to express majesty and reverence. After the Council, church blueprints trended toward the less ornate, with the aim of appearing more humble, welcoming, ecumenical. But how much at odds are those two approaches? 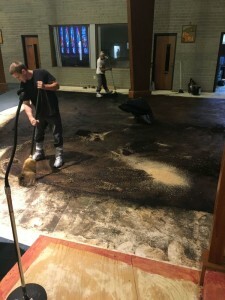 A recent renovation at Our Lady of Victory Church in Delhi Township sought to blend them while addressing some practical problems with its original design. Including the problem of why brides didn’t like it. Our Lady of Victory’s first church was a log structure built in 1842 about a quarter mile from the present location. Two brick buildings followed, the more recent in 1908. The current church dates to 1979. Priest, parishioners and processions at Our Lady of Victory therefore had to enter through one of two side aisles. The design wasn’t popular among some constituencies, including more than a few betrothed couples. “They didn’t want to get married in a church where the bride couldn’t walk down the aisle,” Father Reutter said. In addition, the side aisles weren’t all that convenient – at funerals, for example, with the moving of caskets. 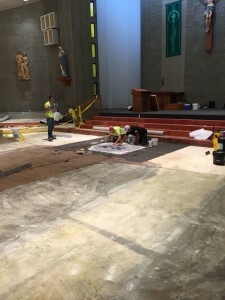 As members looked forward to the parish’s 175th anniversary celebration in 2017, they decided to expend a portion of their One Faith, One Hope, One Love rebate to renovate and revise Our Lady of Victory’s sacred space. “There’s a distinct difference between a parish from the early twentieth century and a 1960’s layout. 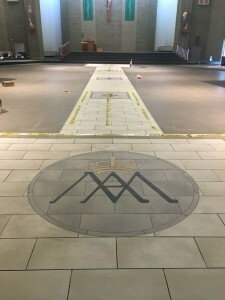 Though the past renovation of Our Lady of Victory was wonderful and absolutely necessary, there developed over time many needs of repairs and restorations; in the process, we had an idea. 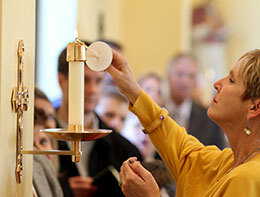 Over some eight weeks last year, a center aisle was created. 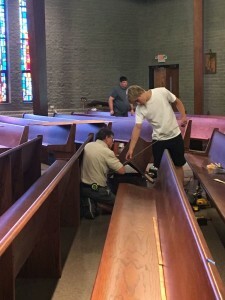 Pews were refurbished and resized, kneelers added. 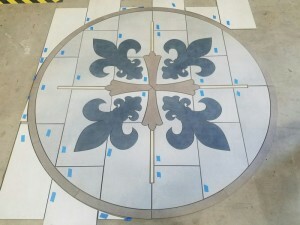 Tiles created decorative beauty including a fleur-de-lis design and the Marian seal from the 1908 church. 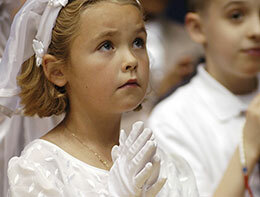 The results have been popular, Father Reutter said. Our Lady of Victory has exemplified “a strong Catholic faith going back almost to the start of the Archdiocese,” he said. “The culture of the times change; people drive cars instead of a horse and buggy, but some things stay the same because Jesus handed them down through the Apostles. 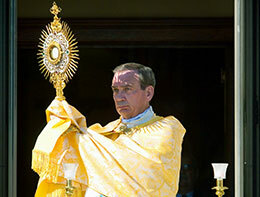 “It’s important to make sure the church is beautiful because it’s connected to Christ Himself as the center. The church building is not just an assembly hall but where Christ is present.